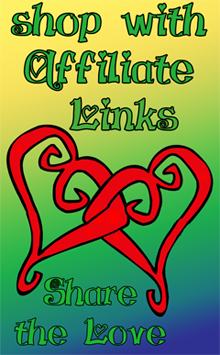 Find my full disclosure policy here, and read on to learn more about affiliate links. 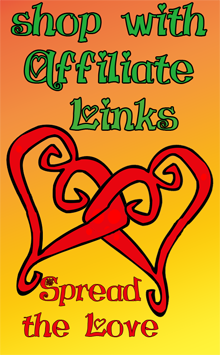 Spread the love by shopping through affiliate links! By simply going to Amazon through a link on another blogger's page, anything you end up buying at that time will go toward that blogger's affiliate rewards. And it won't have changed your prices or shopping experience in any way! How amazing is that? I'm a firm believer in buying local, buying handmade and supporting my community first whenever possible. Buying through another blogger's affiliate link is an easy and painless way to do that. Plus, it makes me feel so much better about those times I shop someplace like Amazon. Please note that the most important time to use one of these links is just before you check out. If you click through and fill a shopping cart, but don't get back to it for over 24 hours, the credit will be lost. So think in terms of linking as part of the checkout process. Teresa at Spirit Grooves and I have made a way to make this process so easy for everyone that no one need ever miss out again on this opportunity to support a blogger with your day-to-day purchases. Just add one of our pages to your toolbar or bookmarks and think of it like the best route to your shopping destination. Mine is right here, and here's Tree's at Spirit Grooves. 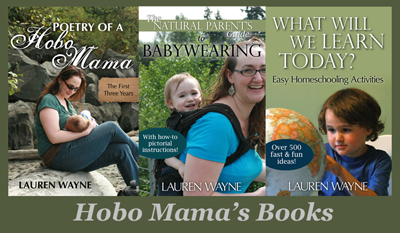 As one of the bloggers who has partnered with Amazon, I appreciate their program very much. I can't use my own links and give myself credit, so I'm pledging to shop at Amazon only through affiliate links from now on. And since we know Amazon isn't the only shop in town, if you have an affiliate account with other businesses our readers would like to shop through, please leave it in the second linky. Don't be shy; link away! If you don't have a blog or an affiliate account, please just shop through any one of these links and let's all Spread the Love! To enter: Put the store name and your blog name in the Title field, as well as any information on what the store sells if that would be useful. Put your affiliate link to the store homepage in the URL field. To use: Check out these links to other stores and small businesses you might shop! Grab our buttons to let others know to spread the love!